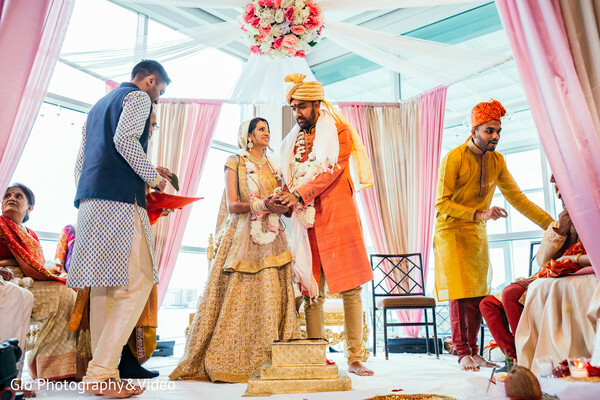 We're head over heels for Prachi and Alap’s picture perfect New York City Indian wedding. We’re always thrilled when a Big Apple bash crosses our desks, and this one definitely satiated our need for some chic wedding goodness. 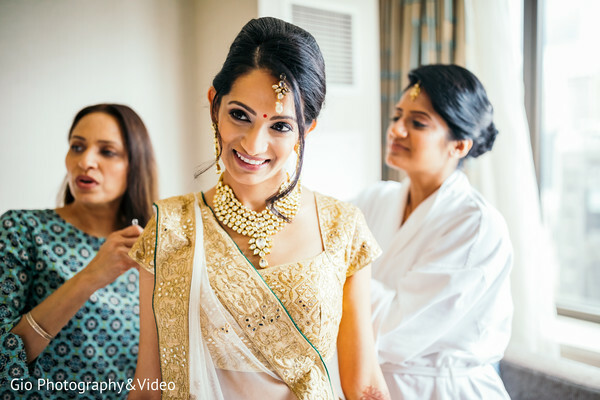 The beaming bride was a vision in a cream and gold lehenga that sparkled under the cloudless sky. Makeup by Anita was on hand with their magic brushes and dazzled up Prachi with glowing skin and a loose updo. 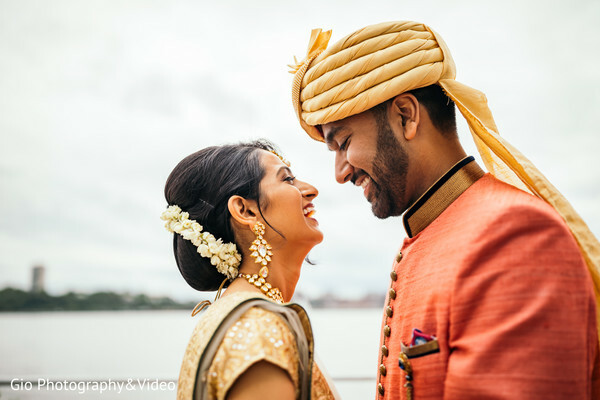 We adore the first look portraits between the lovebirds which took place on the pier, overlooking sparkling water and majestic skyscrapers. 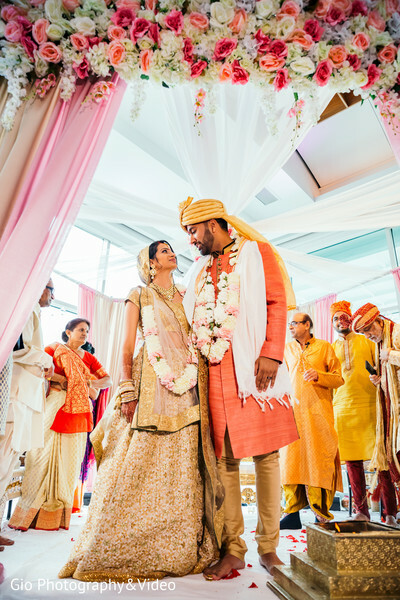 We’re also such fans of the glorious tan and pink mandap that Prestige Kreations dreamed up for this fairytale soiree. 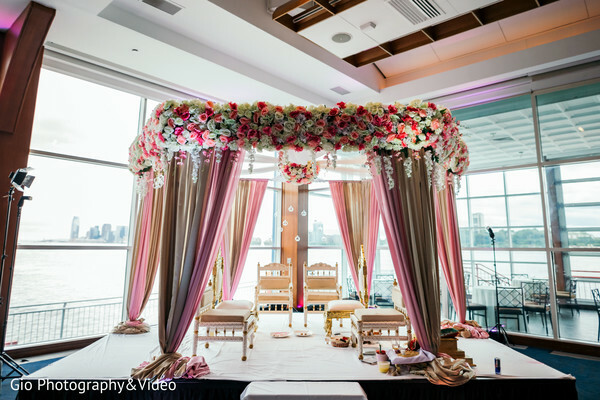 The Pier Sixty venue was bursting with tons of blush florals that added the perfect finishing sprinkle of romance to the proceedings. It’s obvious that so much masterful planning went into this big city event, so kudos to the visionaries from Ring to Aisle Events for ensuring every detail was thoughtfully executed. 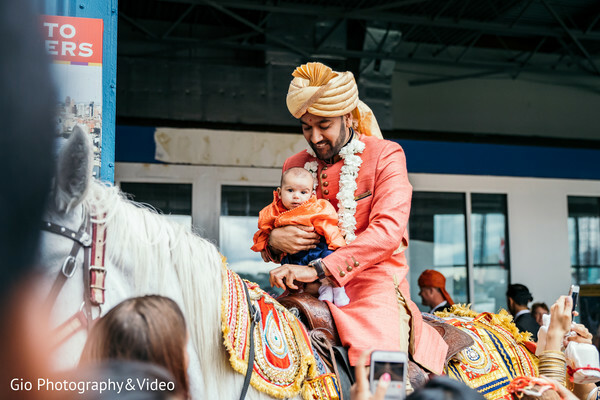 To continue drooling over these masterful photos, check out all wonderful snaps in our full gallery by Gio Photo and Video. 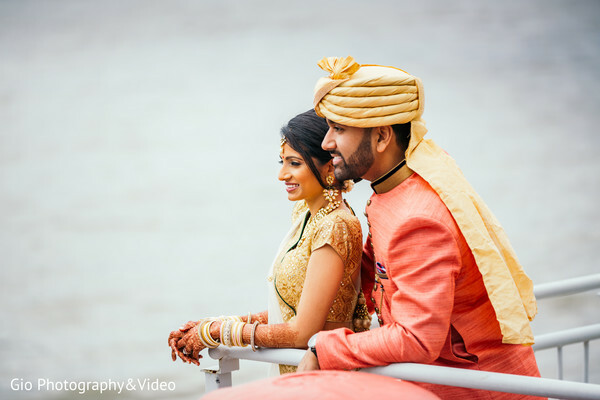 When we return, we’ll dive into Prachi and Alap’s reception extravaganza featuring live music by Medley Entertainment and tons more sparkle and shine! The amazing reception up next!